Home / Samsung / ML Series / Samsung ML-2955ND / MLT-D103L – Genuine Samsung HIGH YIELD toner cartridge – delivered FREE! MLT-D103L – Genuine Samsung HIGH YIELD toner cartridge – delivered FREE! PLEASE RING FOR ETA – supply chain issue 03/12. Best value-for-money genuine Samsung toner cartridge – offering page yield of 2,500 x A4 based on 5% toner coverage. MLT-D205S – Genuine Samsung Standard Yield Toner Cartridge – delivered FAST & FREE! ML-2850BRem – Guaranteed Remanufactured HIGH CAPACITY Samsung Toner Cartridge – delivered FAST & FREE! 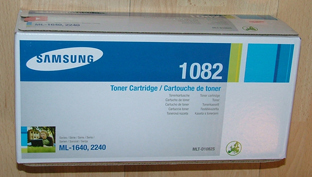 MLT-D103S – Genuine Samsung STANDARD YIELD toner cartridge – delivered FAST & FREE! You're viewing: MLT-D103L – Genuine Samsung HIGH YIELD toner cartridge – delivered FREE!